Robyn L. Jones is a Professor of Sport and Social Theory at the Cardiff School of Sport, Cardiff Metropolitan University (UWIC), UK, and a Visiting Professor (II) at the Norwegian School of Sport Sciences, Oslo, Norway. 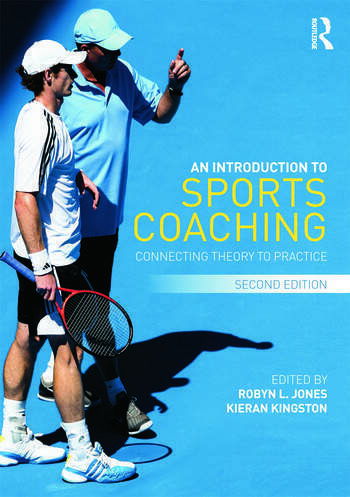 He has published several books on sports coaching and pedagogy, the most recent being A Sociology of Sports Coaching (Routledge). He also serves as the General Editor of the newly launched Taylor & Francis journal Sports Coaching Review. Kieran Kingston is a Senior Lecturer in Sport Psychology at the Cardiff School of Sport, Cardiff Metropolitan University (UWIC), UK. He received his PhD in 1999 from the University of Wales. His research interests are focused broadly on the motivational aspects of sport. Recent publications involve work on goal-setting, coach/athlete motivation, confidence, treatment efficacy/adherence and performance routines. He has provided psychological support to a variety of elite and professional sports performers since 1997.